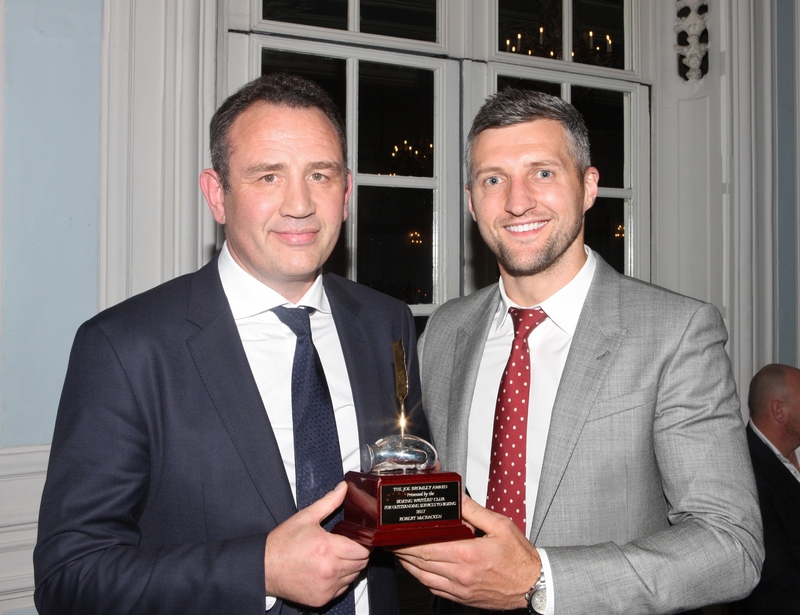 GB Boxing’s Rob McCracken and Peter McGrail have been honoured by the Boxing Writers’ Club of Great Britain at its annual dinner at The Savoy Hotel in London. 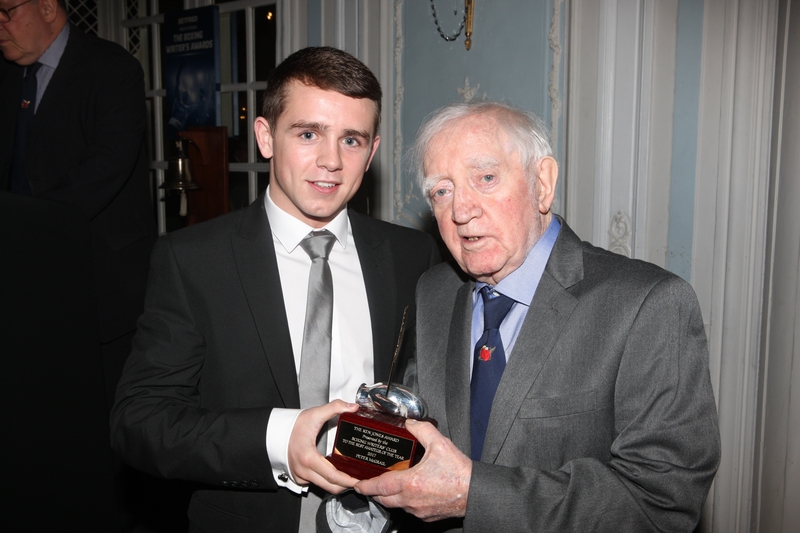 GB Boxing’s Performance Director, Rob McCracken was given the Joe Bromley Award for outstanding services to boxing and 2017 European Champion, Peter McGrail was named Best Amateur Boxer of The Year. McCracken’s award cited his 30 year career in the sport as a boxer, coach and Performance Director. As a boxer he won 33 of his 35 fights at middleweight and light-middleweight and fought for a world championship before retiring in 2001 to work as a coach. He guided super-middleweight Carl Froch to three world titles and since taking over as Performance Director of GB Boxing in November 2009 has overseen a period of unprecedented success as men and women from Great Britain have won 63 medals at 19 major championships, including eight medals at two Olympic Games in 2012 and 2016. He has also overseen Anthony Joshua’s rise to become the current IBF, WBA and IBO World Heavyweight Champion. He was awarded the MBE in the 2012 new years’ honours list for services to sport. Peter McGrail, 21, has been GB Boxing’s outstanding performer in 2017 when he became only the second Englishman since 1961 to win the European Championship taking bantamwieght gold in Kharkiv in June. He went on to become Great Britain’s sole medallist at the September 2017 world championships in Hamburg where he secured bronze. Born in Liverpool, McGrail boxes for Everton Red Triangle and enjoyed a successful career as a youth boxer wining a bronze medal at the 2014 Youth World Championships and Youth Olympic Games. He has been part of GB Boxing’s elite Podium squad for nearly three years and trains with the squad which is based at the English Institute of Sport in Sheffield. 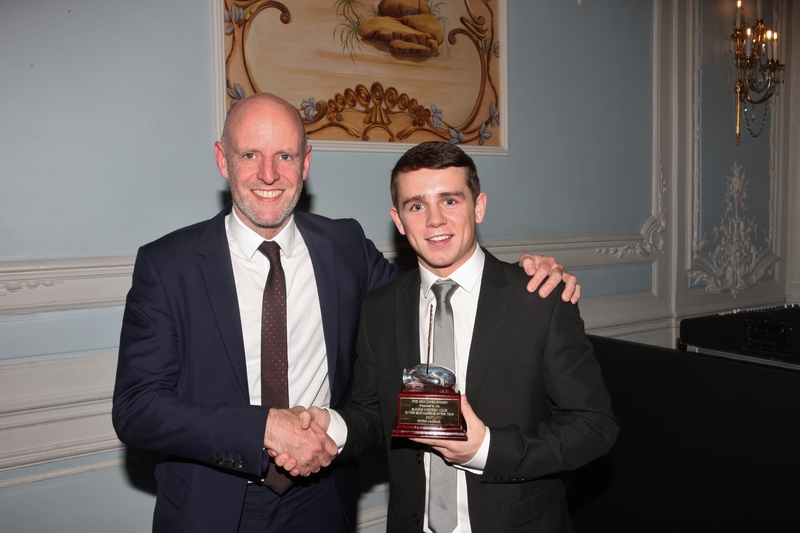 Peter McGrail said: “I am over the moon to win this award, it’s a boss achievement. There have been so many good names win this award in the past, so it’s nice to be added to that list. “I am happy with the medals that I’ve won at the World’s and Europeans. I would not have been able to do it without the GB coaches that train me in Sheffield so I would like to say a massive thank you to them for their support. The Amateur award was introduced by the Boxing Writers’ Club in 2008. Previous winners include Olympic gold medallists, James DeGale, Luke Campbell, Anthony Joshua and Nicola Adams.